Want to improve your mental finesse? Playing a puzzle game like Cut the Rope could just be the thing you need. 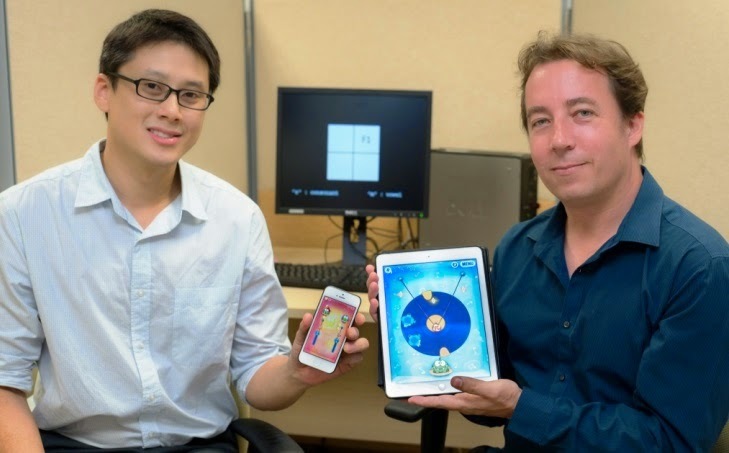 A recent study by Nanyang Technological University (NTU) scientists showed that adults who played the physics-based puzzle video game Cut the Rope regularly, for as little as an hour a day, had improved executive functions. The executive functions in your brain are important for making decisions in everyday life when you have to deal with sudden changes in your environment – better known as thinking on your feet. An example would be when the traffic light turns amber and a driver has to decide in an instant if he will be able to brake in time or if it is safer to travel across the junction/intersection. The games varied in their genres, which included a first person shooter (Modern Combat); arcade (Fruit Ninja); real-time strategy (StarFront Collision); and a complex puzzle (Cut the Rope). NTU undergraduates, who were non-gamers, were then selected to play an hour a day, 5 days a week on their iPhone or iPod Touch. This video game training lasted for 4 weeks, a total of 20 hours. Prof Patterson said students who played Cut the Rope, showed significant improvement on executive function tasks while no significant improvements were observed in those playing the other three games. “This finding is important because previously, no video games have demonstrated this type of broad improvement to executive functions, which are important for general intelligence, dealing with new situations and managing multitasking,” said Prof Patterson, an expert in the psychology of video games. “This indicates that while some games may help to improve mental abilities, not all games give you the same effect. To improve the specific ability you are looking for, you need to play the right game,” added Mr Oei. The abilities tested in this study included how fast the players can switch tasks (an indicator of mental flexibility); how fast can the players adapt to a new situation instead of relying on the same strategy (the ability to inhibit prepotent or predominant responses); and how well they can focus on information while blocking out distractors or inappropriate responses (also known as the Flanker task in cognitive psychology). Prof Patterson said the reason Cut the Rope improved executive function in their players was probably due to the game’s unique puzzle design. Strategies which worked for earlier levels would not work in later levels, and regularly forced the players to think creatively and try alternate solutions. This is unlike most other video games which keep the same general mechanics and goals, and just speed up or increase the number of items to keep track of. After 20 hours of game play, players of Cut the Rope could switch between tasks 33 per cent faster, were 30 per cent faster in adapting to new situations, and 60 per cent better in blocking out distractions and focusing on the tasks at hand than before training. All three tests were done one week after the 52 students had finished playing their assigned game, to ensure that these were not temporary gains due to motivation or arousal effects. The study will be published in the academic journal, Computers in Human Behavior, this August, but is available currently online. This is the first study that showed broad transfer to several different executive functions, further providing evidence the video games can be effective in training human cognition. “This result could have implications in many areas such as educational, occupational and rehabilitative settings,” Prof Patterson said. In their previous study published last year in PloS One, a top academic journal, Prof Patterson and Mr Oei studied the effects mobile gaming had on 75 NTU undergraduates. The non-gamers were instructed to play one of the following games: “match three” game Bejeweled, virtual life simulation game The Sims, and action shooter Modern Combat. The study findings showed that adults who play action games improved their ability to track multiple objects in a short span of time, useful when driving during a busy rush hour; while other games improved the participants’ ability for visual search tasks, useful when picking out an item from a large supermarket. Moving forward, the Prof Patterson is keen to look at whether there is any improvement from playing such games in experienced adult gamers and how much improvement one can make through playing games.